GREENSBORO, NC – S. Camille Payton, an attorney with Ward Black Law, was announced as the new Board Chair of Friends of the Libraries at the University of North Carolina in Greensboro (UNCG) on April 15, 2015. After serving on the Board since 2011, she was nominated by her peers to lead the group for the 2015-16 academic year. Payton is a shareholder of Ward Black Law, a 33-person firm located in Greensboro, N.C. She focuses on workers’ compensation and personal injury litigation. 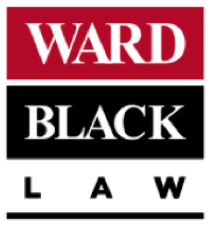 Ward Black Law’s other practice areas include dangerous products litigation, divorce/family law, social security disability, and veterans disability. Before joining Ward Black Law, Payton was a reporter and copy editor in New York at the Rochester Democrat & Chronicle. She went on to receive her J.D. from the University of North Carolina at Chapel Hill in 1993. Since then, Payton has gained extensive trial experience. She has also chaired the Workers’ Compensation section of the North Carolina Bar Association (2010-2011), and authored the North Carolina Bar Association Workers’ Compensation Forms Manual. Payton will leverage these passions in advocacy for UNCG and the community at large. In her new position, she will organize meetings, prompt brainstorming for library improvements and help execute ideas with partners in the community. Payton explained that projects could range from grounds beautification to adding new academic resources for students and alumni. To learn more about Camille Payton, visit www.wardblacklaw.com.